There can be few ensembles with such a close understanding of the of the late 15th century music preserved in The Eton Choirbook and performances by The Sixteen have always been characterised by radiant high sopranos and deliciously bright altos supported by warmly crafted lower voices. This new album brings together Marian works from this famous manuscript with new compositions, specially commissioned by The Genesis Foundation, all united by the special sound of this ensemble. 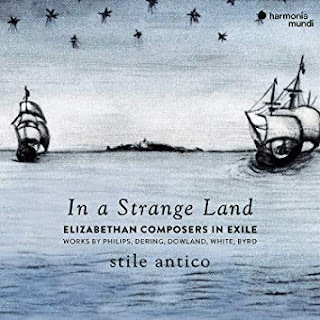 Exile, for Edward Said, was not only banishment but a crucial separation from cultural identity; a sense of not feeling at home in one’s home which is what unites the Elizabethan composers on this new album from Stile Antico: ‘In a Strange Land’ presents Catholic composers working abroad with those who stayed in Protestant England, estranged from Rome. Dowland’s famous pavane, “Flow my tears” opens the album performed in part song rather than the more familiar lute-song beloved of countertenors. Stile Antico, as ever, excel in plangency singing slowly with two voices per part and leaning into the famous descending lacrimae motif. It’s beautiful, but ponderous compared to Dowland’s more madrigalian “In this trembling shadow” a few tracks later. Here the initial use of single voices per part brings immediacy and intimacy which serves the chromaticism with poignancy. Dowland’s penchant for melancholy is infamous, but in the hands of Byrd (1535/40?-1623) it is strikingly political. In ‘Tristitia et anxietas” Stile Antico find a slow-burn of sorrow in Byrd’s churning harmonies and focus on rich, low sonorities allowing for a lightening of interpretation in the more hopeful second half. Antoine de Févin is not currently well known despite his works having traveled widely in his own day and now being preserved for us in several important sources alongside the work of more famous contemporaries. 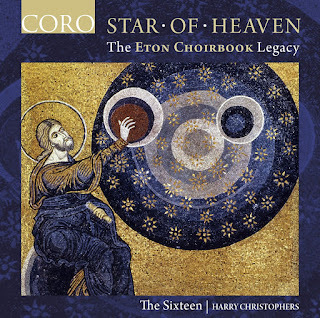 The real jewel on this disc is the motet Ascedens Christus in altum. 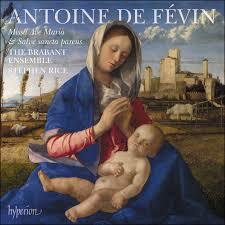 Fuller and richer than one might expect from Févin, a recent discovery has firmed up his attribution. 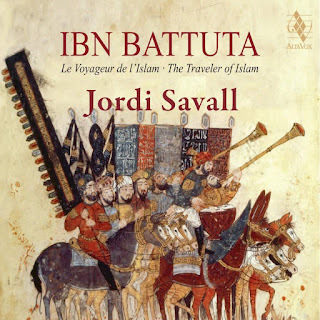 This motet in particular suits The Brabant Ensemble extremely well showcasing their wonderfully bright sopranos in a ravishing trio Elevatis manibus ferebatur in caelum (Lifting his hands he was carried up to heaven). 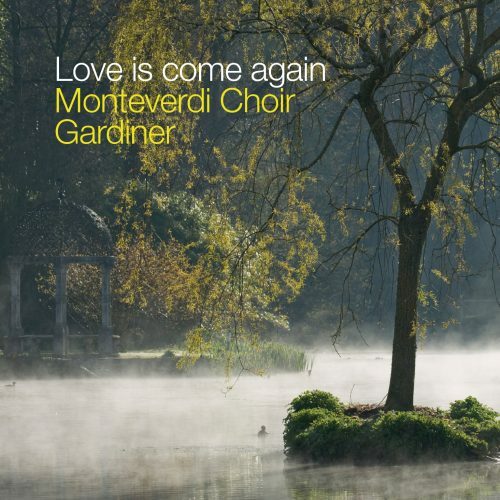 These larger motets with cascading upper voices are what this ensemble does best, and this particular one is especially gorgeous. Works by Manuel Cardoso, Estevao Lopes Morago etc. The Marian Consort / Rory McCleery. 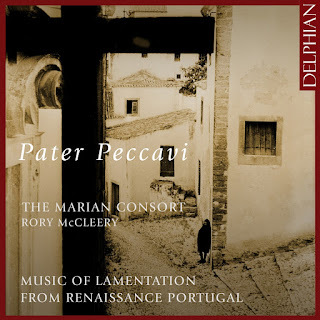 This exquisite late renaissance Portuguese polyphonic repertoire is as richly expressive as it is politically poised. 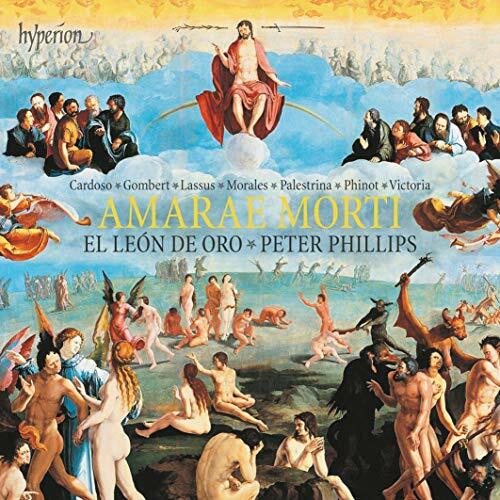 Written under the rule of the Spanish Habsburgs from 1580-1640 works by Duarte Lobo (ca.1565-1646) & Manuel Cardoso (1566-1650) are frequently drawn towards texts of mourning and lamentation as they long for an end to foreign rule and yearn for the restoration of a Portuguese monarchy. All this becomes more stylistically vivid when we note both composers outlived Monteverdi, albeit only slightly. 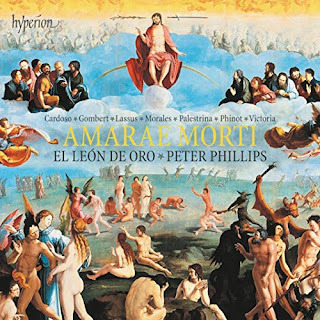 The premiere recording of Lobo’s Missa Veni Domine forms the backbone to the programme. A parody/imitation work drawing on a motet by Palestrina, Rory McCleery explains potential Sebastianist connections with this text in his sleeve notes (the hoped for return of King Sebastian lost in a military campaign of 1578). I love this performance, full of energy and highly responsive to the text. The Sanctus and Benedictus in particular shows the flexibility of this ensemble in responding to different textures. The album highlight for me, however, is Circumdederunt me, a setting of a funeral text by Aires Fernandez. Here the phrases reach upwards and overlap in great arches which the singers perform with a yearning intensity which is just exquisite.